A unique therapy offering hope to children suffering from Central Auditory Processing Disorder - an under-diagnosed syndrome often responsible for a multitude of Learning Disabilities and behavioral problems - is now available to you!!!! 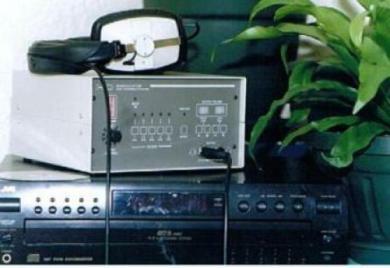 Auditory Integration Training (AIT) involves bombarding the patients ear with electronically distorted music for an hour, two half-hour sessions per day, for 10 days. In some cases the treatment needs to be repeated 6-12 months later, dramatically improving the problems ranging from allergies - hyperactivity - ADD - ADHD - speech defects - hypersensitive hearing - PDD -autism - yet why it really works still remains a mystery. Until now audiologists, teachers, speech therapists, doctors and parents could only offer limited relief to the thousands of children and adults suffering from the potentially disastrous disorder. Among other things CAPD makes it difficult for the brain to modulate sound. So, in a classroom situation for instance, a child with CAPD will not be able to process the teachers voice above the scuffling of feet, whispering, birds singing outside, the lawnmower in the distance or a soccer game on the nearby play ground. But the problem goes even deeper, traditionally children are only classified as having a hearing problem when they have lost 25% hearing. This may be true for adults, but even a 10% hearing loss spells disaster for a child who has not yet established his language abilities. We can call on memory to fill in the gaps but a child cannot. In addition, an average person speaks at around 220 syllables a minute while a child who has been prevented from developing the necessary skill may only process between 80 - 100 a minute. Research has shown that at least 40% of handicapped children suffer from this disorder. 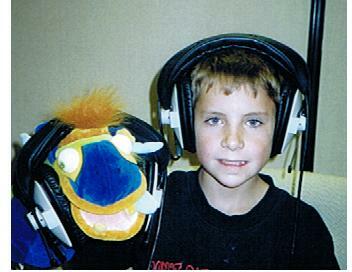 Key features of a child suffering from CAPD include slow responses, the need for repetition, difficulty in following instructions, distractible-especially in group situations, lack of concentration, often problems with speech development, problems in reading, writing and spelling and in 50% of cases, a hypersensitivity to sound. 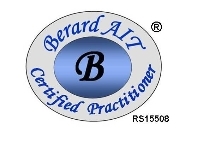 AIT was developed by a French ear, nose and throat surgeon, Dr Guy Berard. During his 48 years of practice, Berard found that AIT helped correct other hearing distortions, which were contributing factors in Learning Disorders and autism. He administered AIT to over 12000 people, reducing handicaps associated with these disorders. The treatment - which is administered for one hour a day, on 10 consecutive days - has no real side effects other than but not limited to an increase in appetite, headaches, nausea, irritability and extreme fatigue after each session. One should not be too alarmed if reactions do occur. AIT is no more expensive than other conventional therapies. No side effected has lasted permanently. There is no evidence to indicate that the AIT is harmful in any way. During the therapy, sound is presented within the participants comfort range and EPA and OSHA guidelines. Participants are monitored by a Berard trained - Auditory Integration Practitioner and children can have a parent or guardian sit with them during each session. Physical and/or behavior side affects have been experienced by many participants, these are considered a positive sign of change and cease as the body adjusts to the new incoming stimuli. The principal of AIT is simple and based on the same concept involved in any treatment by mechanical means, coming under the heading of mechanotherapy. In the auditory system, going from the eardrum to the brain cells, concise zones exist corresponding to low pitched and high pitched tones. If one or the other of these zones in the auditory system is stimulated by programmed alternating sounds, it is believed that the auditory cortex reorganizes. The treatment gives the ear an aerobic workout - it exercises and strengthens the muscles controlling the three ossicles - the small bones found in the middle ear - and retrains the ear's response to sound, improving the reaction involved in the prevention of sensory overload. This treatment prevents the brain's normal reaction - which is to block our annoying sounds. AIT does challenge existing theories and practice but it also really works. Teachers, doctors and parents of these children who have been treated, testify to this. 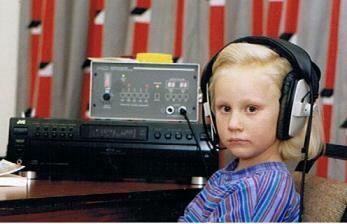 I can only say that Auditory Integration Training is available - take it with two hands!! copy and paste into your email under "compose". This is the best way to contact me!